Picking the right toothbrush can be a difficult choice, and many dental patients simply rely on the sample they’re provided by their dentist after their 6-month check up, or just pick up a cheap option from the local grocery store. Most patients don’t know that not all toothbrushes are the same and that picking the right one is vital to ongoing dental health, let alone that there are some decidedly important reasons to pick up an electric toothbrush. Let’s face it, any oral care regimen is better than none at all, and the same holds true for using a manual toothbrush over an electric. Most dentists want their patients to make the change to an electric toothbrush, these fantastic devices ensure that the patient will get the best care for their teeth and maximize the reduction in cavities and the development of gingivitis. It’s immediately evident to dentists when their patients use electric toothbrushes, the amount of work that’s necessary during their appointments is noticeably reduced and the patient’s oral health unquestionably improved. The benefits are also immediately clear to the patient, once they start using it. If your dentist has been pressing you to give electrics a try, we encourage you to take heed, you won’t be disappointed in the results. We’ve all done it, the slipshod brushing of teeth that happens in a hurry when the nightly habit of brushing your teeth becomes a cursory cleaning at best. For some people, this occasional rush job is simply how they brush their teeth. Electric toothbrushes help to make the most of the time they do spend brushing their teeth, removing more plaque and tartar with less time, meaning even a cursory job of brushing their teeth will lead to less inflammation, dental sensitivity, and chances of gingivitis. Parents, in particular, are going to want to make sure their children are using electric toothbrushes, especially those parents who spend a lot of money on orthodontic work. There’s nothing worse than investing in a solid set of braces to help straighten out a child’s smile, only to have poor brushing habits result in cavities and those teeth decaying instead of improving. There’s a lot of cases where proper dental care is difficult because of certain disabilities or simply the loss of dexterity from old age. For some of these patients, it’s simply impossible for them to move their hands or arms in a way that affects proper dental hygiene. For these patients, electric toothbrushes are the perfect solution. Even without perfect manual dexterity, an electric toothbrush will be able to effectively remove plaque, cleanse the teeth, and minimize the development of gum disease. 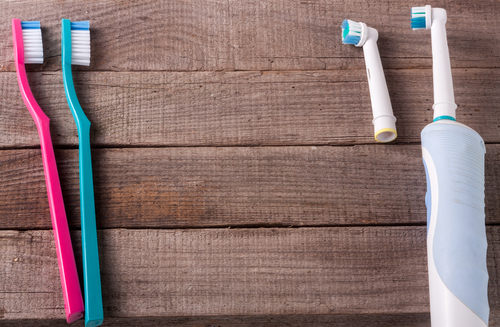 The choices you make when investing in the tools of oral care matter, and an electric toothbrush brings so many benefits to the table there’s simply no reason not to get one. If you’re wondering if an electric toothbrush is right for you, consult with your dentist, or just give them a try. You’ll never look back.